I was wondering what to write about the New Year that is almost upon us, but I decided others have written enough, and all I have to do is to point you to their posts. Lisa explained what Rosh Hashana is about and even threw in examples of her art and a new recipe. And if you scroll down on her blog, you can read about her wonderful summer in Scotland. Real Jerusalem Streets showed 20 signs of Rosh Hashana in Jerusalem. A message from the mother of a murdered Israeli teenager. 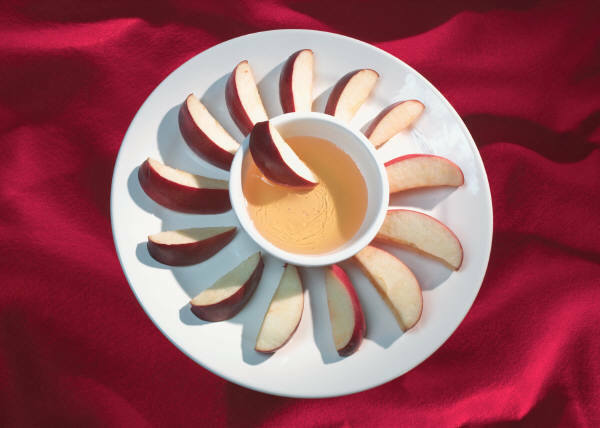 Where will YOU eat your apples and honey this Rosh Hashana? 🙂 Wishing everyone a year of health, happiness and peace.